Did you take the time to go on the Holiday Tour of Homes this past weekend? If not, you missed out! This year's tour featured a great variety of homes in our community, and the gracious hosts were oh-so-generous to let all of the tourists view their beautifully decorated abodes. Each and every home had its own charm to share, and the tour made for a great night out! 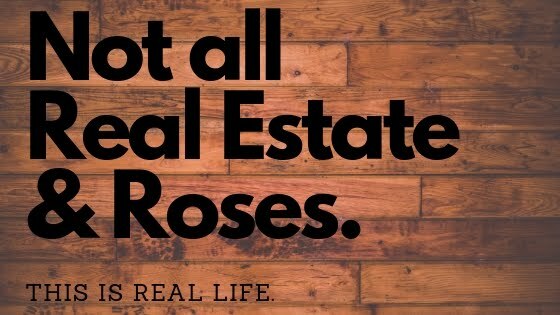 Some people thought it strange that someone who deals with real estate all day would even spend her free time looking at homes. I suppose it is a little strange, but no different than a mechanic working on his own pet project in the garage at home or a farmer driving around the countryside to check cattle or crops after a day's work. It was a treat to see the homes on the tour, and I had the privilege to participate in the sale of two of the homes. Needless to say, I particularly enjoyed seeing the renovations at both of those properties. Each of the owners truly has a different style and eye for detail. It was fascinating to see each home transformed into a holiday wonderland! I must share that my favorite home on the tour was the Wayne County Museum. I was just a little girl when the museum first sparked my love and awe for classic homes. I remember touring it as a bright-eyed country school student. I think there were eight or nine of us in school at the time, ranging in age from kindergarten to eighth grade. We especially enjoyed our field trips to places like the museum, the public library and the planetarium. We eagerly looked forward to the opportunity to miss classes in our one-room school house for a short adventure elsewhere. Although it was many years ago, I can recall that day at the museum vividly. Standing on the front porch, we received instructions as to how to treat the house. I remember how I loved the detail of the woodwork and the parquet floors. It was so tempting to run my fingers along the pretty tile work surrounding each fireplace, but we were strictly warned not to touch ANYTHING. I wandered along on the tour half listening to our guide as I looked at all of the wonderful features of that beautiful home--the curved glass bookcase, the open stairway, the high ceilings. I thought to myself how lucky the children that used to live there must have been, and how neat it would be to have a fireplace in my bedroom. A few years later, we took the same tour in Middle School, but our classes were bigger then and it was hard to see everything like I did during my first experience. I remember it differently each time I visit that grand home, but I can say that it has left a big impression on me. All of these years, I have admired it from the outside each time I pass by. As a kindergartener, I didn't know my life would lead to a career as a real estate agent, however that house might have lit the spark. This job never gets old. And, like many of the properties I see, I grow to appreciate it more and more as time goes by. Welcome Home.